I'm always the type who takes a bunch of activities to a weekend away. This time, I brought along my sketching stuff, some books to read, and my knitting. I didn't knit a stitch, and read about two lines, but I did manage to get some drawing in. 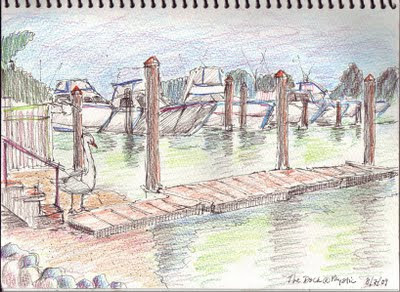 I sketched the dock at twilight, even though the colored pencil shading makes it look earlier in the day. 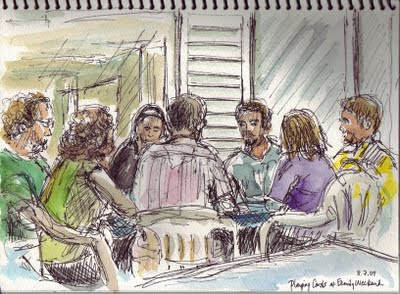 Then I sat on the deck sketching family members who had gathered around the table for a card game.